PITTSBURGH—"Principles of Uncertainty," written by Carnegie Mellon University's Joseph B. (Jay) Kadane, has won the International Society for Bayesian Analysis' coveted DeGroot Prize. 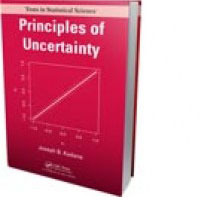 Carnegie Mellon's Joseph B. Kadane Authors "Principles of Uncertainty"